Don’t be so humble: you’ve spent a lot of time developing your website’s marketing strategy, right? Between developing social media posts (and outsmarting that tricky Facebook algorithm), choosing quality web hosting and branding your website, and learning the ins-and-outs of SEO, you’ve spent countless hours — and probably a pretty penny — getting internet crowds to notice your content. For that, you deserve a pat on the back and a big gold star. Hooray for you! But here’s a kicker: have you thought about what visitors experience when they click your ads and visit your site? You’ve got people heading towards your page, but what do they do when they get there? You’re acing the marketing push to drive traffic to your site, but . . . then what? If they’re not converting — that is, if you’re not generating leads — then red flag! There’s a problem. If conversions seem out of reach, what do you do? Rub your lucky rabbit’s foot? Wish on a shooting star? Nope, you don’t need to go hunting for four-leaf clovers to generate leads. Getting site visitors to convert isn’t a matter of luck — it’s about killer landing pages. Armed with the right knowledge and tools, you website owners can attract more traffic to your site — and convert visitors — with top-of-the-line landing pages. Our comprehensive (we mean it!) guide covers all the need-to-know info, like the key elements of a strong landing page, best practices for copy and CTAs, and more. Plus, we’ve loaded it chock-full of real-life examples. What are you waiting for? Let’s dig in. A landing page is a web page where you send visitors with the goal to convert them into paying customers, subscribers, etc. It’s typically a standalone page, meaning it’s sole purpose is to receive traffic from your marketing campaigns and generate targeted leads with a focused Call to Action (CTA). 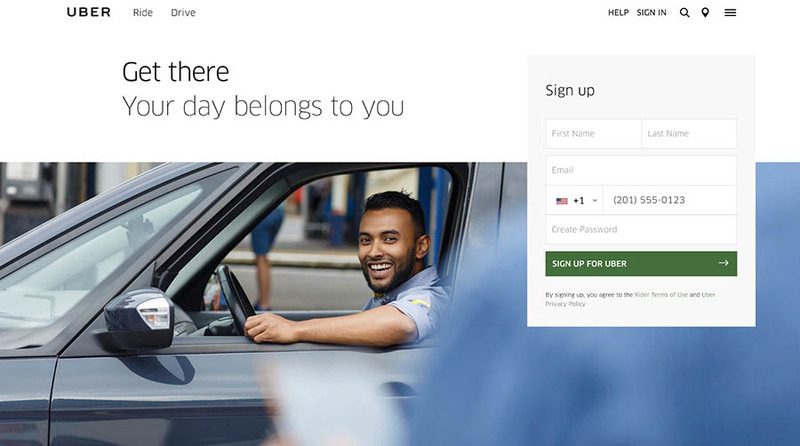 Uber’s landing page is focused on getting users to sign up with a simple opt-in form. 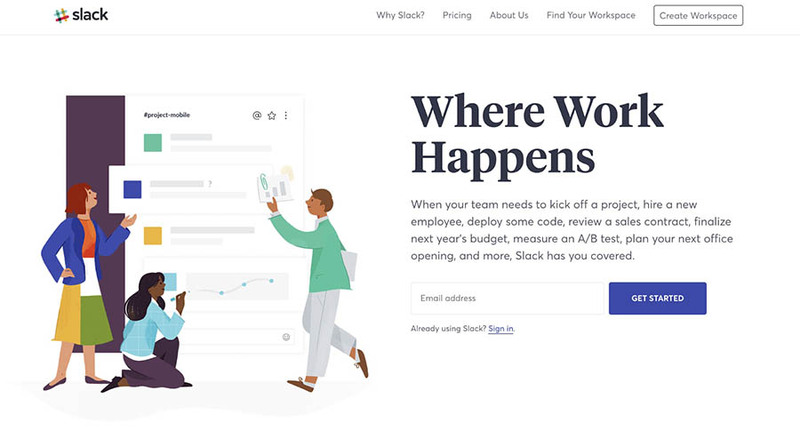 Slack’s A+ landing page focuses on building an email list with a bold CTA button. Think about it this way: you’ve invited a large crowd to an event. When people come, how are they received? What type of environment do they arrive at? Disorganized chaos will obviously turn crowds off at the door, while a clean and inviting space will encourage them to stay and engage. It’s the same with landing pages. How you receive traffic on your site determines who comes to stay — and what they do — on your site. In terms of grabbing the attention of audiences and generating leads, landing pages are one of the most important elements you need to get right. Already feeling overwhelmed? Don’t worry! We’ll demystify the elements of strong landing pages and how you can DIY-it on your site. Sure, you want to drive traffic to your page. That’s important. Your site needs to attract eyes. But you also want visitors to do something on your site. Your landing page is the targeted platform that should make it simple — and compelling — for users to act, whether that be to buy, read, subscribe, or like. The truth is, landing pages sometimes get a bad rep. Website owners complain about low conversion rates from their pages, which is true: many landing pages don’t increase conversions. But, that doesn’t have to be your site’s reality. Your landing page can be a positive lead generator if done right. To begin, you really want to know what you’re after. Landing pages will differ based on industry, products or services being offered, your call to action and purpose, and of course, the people visiting the page — your audience. You want to figure out what your goals are so that you can design your landing page accordingly. And ideally, you’re creating a new landing page for each campaign. Most people don’t, even when it’s proven to increase conversion opportunities. Take a minute or two to map out what your objectives are — for your site as a whole (no fancy program needed; a spreadsheet should do the trick). Consider your audience and what their needs are (we’ll discuss this later). It might even be helpful to flesh out buyer personas. Also think about: what is the reason for the campaign in the first place? To build brand awareness? Increase sales? Establish a healthy email list? Whatever the reason, understanding your primary aim helps bring purpose and vision to your goal setting and the design of your landing page. With the overarching goal in mind, you can increase the chances of getting your visitors to do what you want them to. Score! Let’s start building our pages. It’s true, there’s really no such thing as a one-size-fits-all landing page since your goals, offerings, and audiences are unique to your website. But luckily for you, landing pages with high conversion rates do have certain crucial characteristics in common. Yeah, we know you checked out that catchy “32 Things You’ll Only Find Funny If You Loved ‘Stranger Things 2’” article when you were supposed to be responding to an email. And there’s a reason for that. The headline grabbed you, right? Now, you don’t need to be BuzzFeed or name drop the Kardashians to garner attention. The principle is this: if your headline is captivating, persuasive, benefit-driven, and appealing, you’ll have a much better chance of getting your audience to stick around and do something on your site. In fact, it’s crucial: more than 90 percent of visitors who read your headline also read your CTA copy, so it has to hook them if you want action. Your headline also largely affects your page’s shareability; thus, more eyes equals better chances of gaining conversions. The headline is easily the most important element of your landing page. 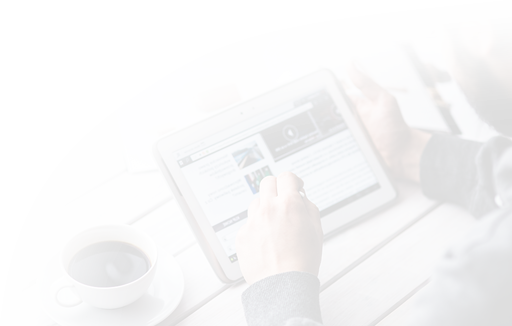 It’s the first thing readers will see, and with attention spans at an all-time low, you’ve got less than ten seconds to captivate your audience before they try another site. If you want to increase conversions, your headline is a great place to start, offering about 80 percent of the opportunity for improvement to boost rates. 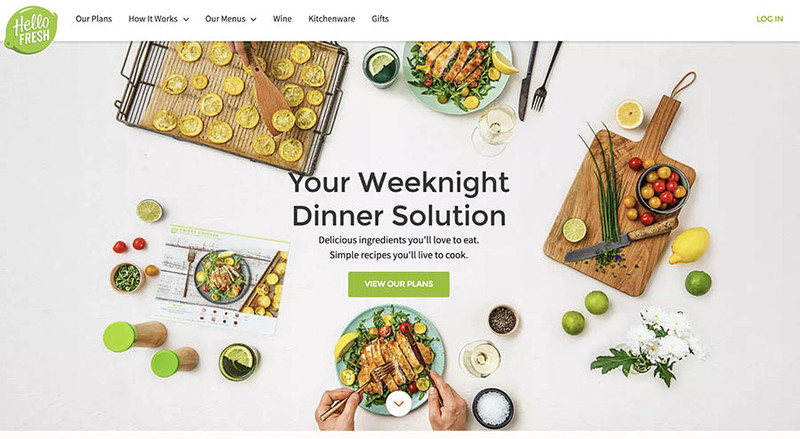 Hello Fresh’s headline quickly and clearly identifies a benefit to their meal-kit delivery service — an easy dinner option for people who don’t have the time to grocery shop. Bam, we’re hooked. WordPress’ landing page headline is captivating and creative. Twenty-nine percent of the internet? Wow. We need to know more. A winning headline might not happen on the first try, and you may need to test more than one headline option to see which ones are the most effective for your landing page (more on testing later). Experiment with a tried-and-true formula to get the juices flowing. Or, craft your headline last, after you’ve written copy and developed other page elements — then you might have a better idea of what you want to convey. Also consider the formatting of your headline. Remember: Periods. Stop. Eyes. You want your headline to flow easily for readability, so when it comes to punctuation, use sparingly. If you need to give “eye rests” or visual spaces for design purposes, try an em dash ( — ) or ellipses. Use the title case and make sure that your headline is big, bold, centered, and distinguishable in an above-the-fold location. Also, make sure that it matches your ad copy. Whether a visitor lands on your page via a social media push or an email campaign, they should know what to expect. Now to the subhead. Think of it like the Robin to your headline’s Batman. Like a great sidekick, a subhead adds further detail and context to your headline. It helps to funnel your readers down your content and gives them a reason to keep reading. A headline and subhead make a great — and essential — team, so don’t forget to pair up. 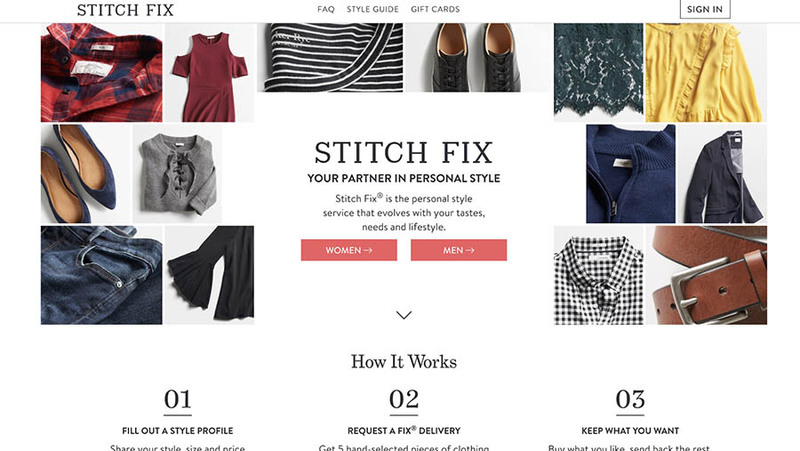 Stitch Fix’s subhead provides additional context and continues to build interest in the product. A great subhead contains information that is relevant and to the point (this is not a place for distracting fluff). Communicate the value you offer and make every word count. If readers have made it past both headline and subhead to your copy, give yourself a high five. You’ve created quality titles, and you’re off to great start. Now, your body copy: another key element that helps to explain your offerings and build interest. Like the other aspects of your page, it has to be tailored to your overall goal. If your CTA is higher risk — say, committing to a trial subscription — you’ll probably need a longer body copy to adequately explain the benefits of your offer. In some cases, longer-length forms have proven to increase conversions. On the other hand, if you’re just requesting an email, you can probably get away with shorter, bite-size-piece copy. It just depends on what you’re selling and what promotes a positive user experience. Graze’s bite-size copy is easy to skim and chock-full of benefits. Break text up with bullets or shorten paragraphs into digestible chunks if necessary to increase readability. Highlight value by working to answer the question: what’s in it for me? Sell an idea, not just a product or service. Use urgency (like a sale countdown timer or number of items remaining) or a discount to encourage hasty action. Remember to choose your words carefully, and give the copy cognitive flow — our brains like logical, wrapped-with-a-bow endings. And don’t skip editing steps. Have a second pair of eyes scan for errors. What do paintings like Starry Night or photographs like Migrant Mother teach us? For one thing, it proves that visuals are powerful. They are processed by the brain faster than text, so they’re easily going to be one of the first things noticed on your landing page. Quality visuals, whether they be illustrations, product images, graphics, screenshots, photographs, or videos are essential for any strong landing page. And more than the science behind it, visuals play an important role in establishing an emotional connection. Take videos for example. 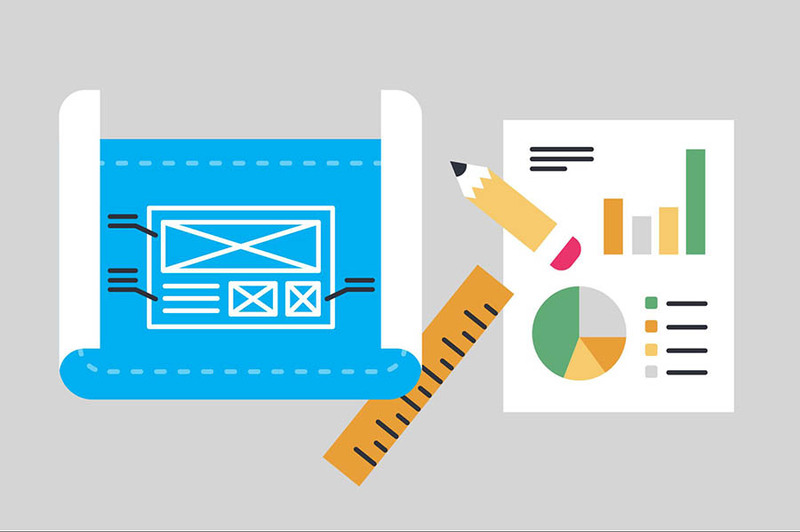 Incorporating them on landing pages can increase conversions by 86 percent. Videos are persuasive and can accomplish a hefty list of challenges, like promoting retention (helping visitors remain on your page longer), increasing trust, and giving your brand a voice. Plus, you can actually show your visitors how to use your product or service. And it’s no secret: users like videos over lengthy text. Give the people what they want and include video elements on your landing page. With Storyline, visitors aren’t dredging through loads of copy. Rather, they’re presented with a simple and appealing video which makes staying engaged easy. Consider how different audiences might respond to your visuals, keeping in mind that one type might appeal to them more than another. But whatever type you use, your page’s visuals should be relevant to your product/service and to other page elements. Stay authentic and on brand. You can display these on your site to create a positive user experience and one that promotes a safe digital environment. Plus, it boosts your brand image. Edible cookie dough company Edoughble proudly displays the media outlets that have showcased their product. I mean, if Jimmy Fallon likes it, shouldn’t we? And in the case of testimonials, you’re infusing your landing page with voices of actual customers, which helps foster authenticity and makes human connections for those new or on-the-fence visitors. Keurig makes customer’s lauding a key part of its landing page, using a human connection to encourage buying. Yeah, text, headlines, and photos are all great, but if there’s no way for your audience to actually do or click something on your page, it’s all in vain. To boost conversions and start generating quality leads, you need a clear CTA. Whether it’s a shiny button, an easy-to-use opt-in form, or a colorful link, your page should have a CTA that’s easy to recognize and use (and it should be mobile friendly, folks). The whole goal of your page is to get visitors to do something. Your CTA is the means. You can spot Trello’s CTA a mile away. It’s clear, distinguishable, and a complement to the rest of the page — in both design and benefit offering. CTAs should be clearly distinguished on your site; they should be big, bold, and compelling. Give it an above-the-fold spot and a contrasting color for quick spotting. Also, make sure to test out phrasing options for your CTA buttons — simply inserting “FREE” or relying on the usual “Sign Up” won’t translate to automatic conversions for every landing page. An oft-overlooked element: further ways to engage. While you don’t want to incorporate any items on your landing page that distract visitors from completing the desired action, you can promote increased engagement and shareability by providing contact buttons and icons that link to your social media platforms. Chronicle Book’s landing page earns an A+ for contact and social buttons. We can easily find social media icons to lead us to more content and easy contact info. Social icons can act as free marketing — visitors have an easy way to share what they find with their own network and give you more exposure. Score! Contact buttons increase trust with your audience as you visibly make yourself available to their concerns and questions. As usual, test these elements to determine effectiveness on your page. Now that you know what elements make up a successful landing page, let’s get down to the nitty-gritty: the how of designing a landing page that converts. Now, whether you’re a developer whose coding your landing page into existence or you’ve decided to save time by picking from a range of pre-made templates, you need to be aware of the principles that guide strong design. Along with a captivating headline, killer copy, and a powerful CTA, your design plays a big part in conveying your message. And even though we know not to judge a book by its cover, most audiences will judge the appearance of your landing page. So don’t underestimate the power of design, and award it the attention it deserves. Have we hammered that idea into your brain enough? Moving on. Here are some design principles to guide your building. We know you don’t want to hear this, but we have to say it: it’s not about you. Welp. We know. But when it comes to the design of your landing page, every visitor is an opportunity, so it has to be all about them. The elements you include, the ones you don’t, and the way they’re arranged have to be oriented to the audiences who interact with your site. It needs to be a simple, straightforward, and pleasant experience for them, or they’ll ditch you for another site — probably your competition. Design every element with them in mind. Is it to build an email list? To bolster your social following? Whatever it is, do it well. It should be crystal clear for visitors to come to your page what their next steps should be. Your interface should be simple, clear, and guide users to action — on the desktop and on mobile. Make all elements user-friendly; this includes type, links, visuals, menus, and buttons. And remember: your landing page elements shouldn’t be placed willy-nilly on a page. Rather, they should be consciously constructed for optimum impact. MailChimp’s interface is clean and user-friendly. Their goal is clear. To help users stay on your page and engage, limit navigational elements. You’ve brought audiences there — don’t encourage them to leave by placing distracting links on your page. You want them to act on your landing page CTA, so keep exit options limited and implement a bare (or shall we say, simple) interface. Lastly, consider that web audiences typically read in an F-shaped pattern. Let this telling shape principle guide where you place page elements. Even with handy landing page templates, there is plenty of room for creativity within your design. Plus, good design is essential for guiding your visitors through your page to complete the desired action. A well-constructed page design contributes to high lead generation, while poor design can confuse, frustrate, and even repel visitors. Use design to create a path for the eye. Users shouldn’t have to think about where to go next. The design should automatically lead them through. Use images and design elements to guide viewers’ eyes to your CTA. 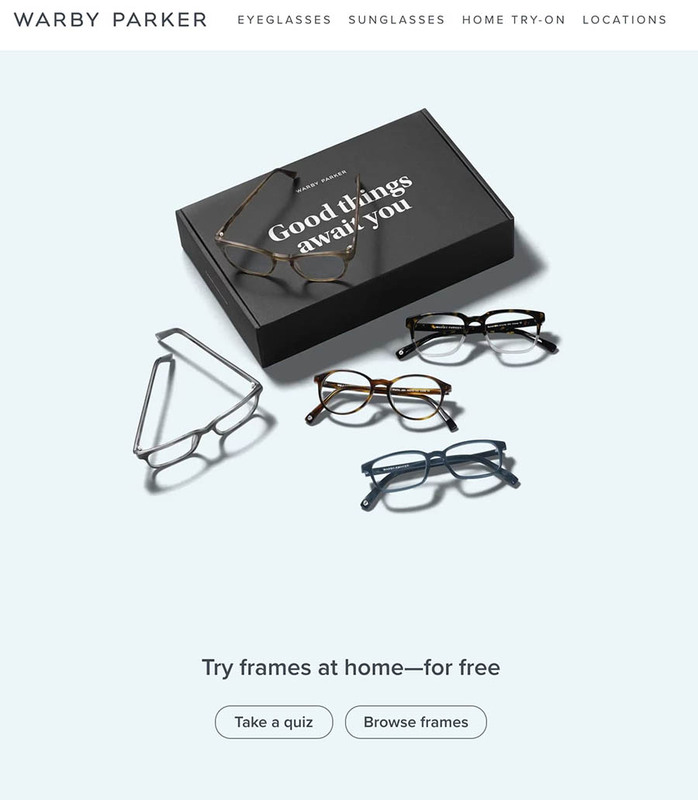 We process Warby Parker’s visual first and then are drawn to the CTAs. Even with very little text, the benefit is clear. This example showcases how design is impactful in generating leads. Think of your favorite brands or products. You probably remain a loyal customer because you associate their products or services with pleasant emotions or feelings. And often, those good vibes are built through the use of color. Don’t just take our word for it. It’s true: there’s a whole psychology behind it. Its colors evoke calmness, peace, a “chill” vibe, — moods typically associated with listening to good music. Blue is also a popular color for marketing and sales efforts, as it often stimulates feelings of security and stability. Colors can be extremely powerful in getting people to respond and act. Whether they realize it or not, your visitors are being affected by the colors implemented in your design. It can encourage them — subconsciously, even — to feel certain emotions and be more likely to respond in certain ways. It’s true: in a study, researchers found that 90 — yes, 90! — percent of consumer decisions about products are based on color. Yep, it’s that important. Effective use of color will improve your landing page conversions. In addition to building an environment, it’s important to be smart about your user of color as it can largely affect user experience and brand awareness, thus, affecting your overall conversion goals. Your CTA button is the most important element you can differentiate by color. It needs to be an obvious, clear, and an attractive standout on your page, while still conveying the right emotion for your message. Test out various color schemes and find what works best. Be aware of background colors, as you don’t want to obscure text, visuals, or other page elements. And don’t be afraid of white! White backgrounds can give your site a minimalist, clean feel and highlight key pieces of information. It’s not really wise to have outbound links on your landing page — hey, you want users to stick around on your site. But if you do, be aware of link color. 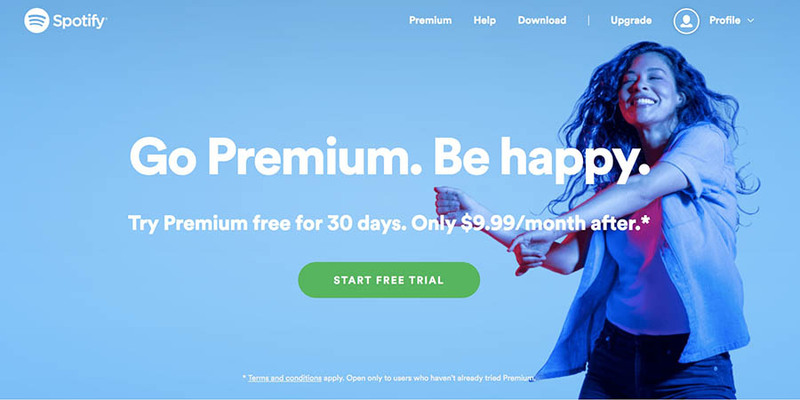 While there are guidelines for color psychology and tried-and-true landing page design templates, there really are no hard-and-fast rules for color (or many other elements of landing page creation), so test out what works for you. If popular sites have blue backgrounds, but that doesn’t work for you, toss it. Industries and audiences vary. Appeal to your users. And always: test, test, test. Wow. Your page is coming along great! But wait — there’s more to learn. Here’s a handful of landing page best practices to pay attention to as you continue to fine-tune your pages. Bleh, homework? Don’t worry, this type is fun! After you’ve established your goals for a new marketing campaign, do some research. You’ll automatically create stronger landing pages if you take the time to collect information about your target customers and audiences. You’ll also want to study up on the popularity of your topic and trends over time. Remember buyer personas? This HubSpot tool helps you build them to visualize your customer profiles. Want to get an idea of who might like your product? Create a mockup profile of customers who like certain products or brands with YouGov Profiles. Don’t wait for customers to come to you. Go ask them for direct feedback with survey-building tools like SurveyMonkey, AYTM, or FieldBloom. Bonus: it’s budget-friendly and helps you improve your brand and UX. What’s popular in internet conversation? #WorldWaterDay? #MeToo? Explore trends in your topic over time in comprehensive detail with Google Trends. Want to put a finger on the pulse of social conversation? Analyze real-time social media trends by monitoring on tools like HootSuite. Research the popularity of certain keywords in your industry and discover intent by utilizing Google’s Keyword Planner. Keyword intent research helps you understand what users really want, not just the phrases and words they use to search. That’s key insight. Clicks heard across the world: let Google help you understand how the world is using the internet with its Consumer Barometer. Need some scholarly stats? Access raw datasets in a host of fields from the Pew Research Center. Think with Google is a beneficial tool from the web giant designed to share useful stats, tools, trends, and insight. An example? Explore shopping trends and product popularity with Google’s Shopping Insights. Remember, when it comes to building strong landing pages and increasing conversions, ignorance is not bliss. Get smart. Sad, but true: the one thing your site visitors don’t have is patience. Your visitors aren’t going to stick around forever — in fact, a measly one second delay in page speed can decrease conversions by seven percent. Slow speeds kill conversions. On the other hand, mobile pages that loaded only one second faster were able to increase their conversion rate by 27 percent. That can dramatically affect your business in a big way. After implementing these simple fixes, you’ll want to continue to test your site often. Google’s PageSpeed Insights can help with that. Get key info about the real-time performance of your site and suggestions for optimization. Slow and steady won’t win this race. No, we don’t mean like answering your backup of emails or text messages (though, that’s important, too). Being responsive means having a landing page that functions seamlessly across devices. More and more, having a responsive landing page is a deal breaker for web users — and for the success of your landing page. Currently, there are more mobile internet users than desktop users — a staggering 3.5 billion globally as of August 2017. If you’re not catering to those mobile visitors (only 50 percent of companies are), you’re cutting off your opportunities for increased conversions. With audiences turning more to their smartphones and tablets to shop and make purchases, you need to think mobile in a big way. Make sure your landing page is accessible (with all parts functional) on any device — whether your target users are riding the subway or checking out e-deals on their lunch break — and you can triple your chances of increasing conversions by 5 percent (or more). If you’re using a handy landing page-building software, be sure to outfit your site with mobile-ready templates. Then test: you can use Google’s program or MobileTest.me. Always concern yourself with how to make your landing page more mobile-friendly. You’ll see the returns with increased conversions. We’ve talked a lot about how every element on your landing page should be geared toward getting your visitors to take action. Floret Flower company makes sure that subscribing to their email list is worth your while by offering a lengthy ebook in exchange. A good lead magnet focuses on value offered and not overly on your company or your product or service. It encourages users’ clicks and engagement and is constantly improving your brand. Even if sales or other rewards aren’t immediate, it’s a profitable practice. Because you’re offering valuable content, users are more willing to give up their info — say, their email for an ebook download — thus, helping you towards your goal of increased conversions. Does your landing page make a compelling offer? If not, edit it to showcase more value. Ideally, you want to be in the business of relieving pain. No, you don’t need to brandish bandaids or stock up on gauze. The kind of pain we’re talking about has more to do with the psychology of consumers and their clicks, aka pain theory. Whether it’s frustration over paying too much for cable or the lack of gluten-free meal options, people are looking for solutions to their most aggravating problems. To influence your audience and increase conversions, you must understand and solve their pain points. The Promptly Journals company is capitalizing on a simple pain of parents: forgetting the details of life. The desire to treasure the small moments of everyday urges visitors to shop. In your field, what nagging concerns might your visitors have? Cater to them by providing solutions (or products) to relieve those pains. What keeps your audience up at night? Be there when they need you. Expend the effort to figure out what solutions you can offer them and do it well. You’ve showcased what they will gain when they answer your call, but what will they lose? Make it impossible to give up. After all, when you’re the answer to their problems, they’re likely to come back (and bring their friends). But a warning: make sure you understand their pain points and deliver what you’re promising. Few things irritate web users more than not receiving what they were promised. Don’t disappoint them. You can highlight how your product or service alleviates pain by showcasing real-person testimonials, embedding solutions in your benefit-and-optimism-ridden copy, or through impactful visuals. Pesky diaper leaks and sensitive skin: they’re pain points for many parents. The Honest company highlights how their diapers offer the solution with a real-life customer testimonial. Ever stood in an aisle of the grocery store, staring at shelves of endless items, unable to choose a product — say, a type of cereal or brand of cookie — because of the multitude of choices? We all have. This dilemma is encapsulated in a principle called the Paradox of Choice — the simple truth that the more choices consumers have, the harder it is to make a decision. They might even leave the store empty-handed, too overwhelmed to choose. The same applies to landing pages: Even though 48 percent of landing pages out the web contain multiple offers, the strongest landing pages focus on one specific ask. Their purpose is to get visitors to act, not wade through a slew of daunting options. This overwhelms users and decreases your chances of converting those visitors into leads. If you try and pull double duty, conversions will be low. So remember, when it comes to CTAs, less is more. Focus on promoting one thing, and be specific, based on your goals. Generic asks aren’t effective; specific CTAs help build trust with your audience as they come to see your focused efforts as authoritative in your field. Hulu’s landing page goal is very specific: start a free trial of its streaming service. Every part of the page leads toward it, and there are few other elements to distract visitors from action. Make sure your design caters to promoting your specific CTA and remove elements that distract or divert attention. The design’s purpose is simple: get your site visitors to act on your CTA, whether it be clicking a button, downloading an ebook, filling out an opt-in form, or following your social media platforms (or whatever you’re asking for). Every element on your page should be aligned and directed toward your one purpose. Now, it’s not required that you hire an expensive squad of designers, copywriters, or developers to ace your landing page game. We know not everyone has the budget to hire a team to build custom pages for your site. If your purse strings are tight, we’ve got some top-tier tools to help you DIY-it (no hot glue guns or glitter necessary). Just like you wouldn’t use scissors to cut your grass, you need the right tools to create successful landing pages. 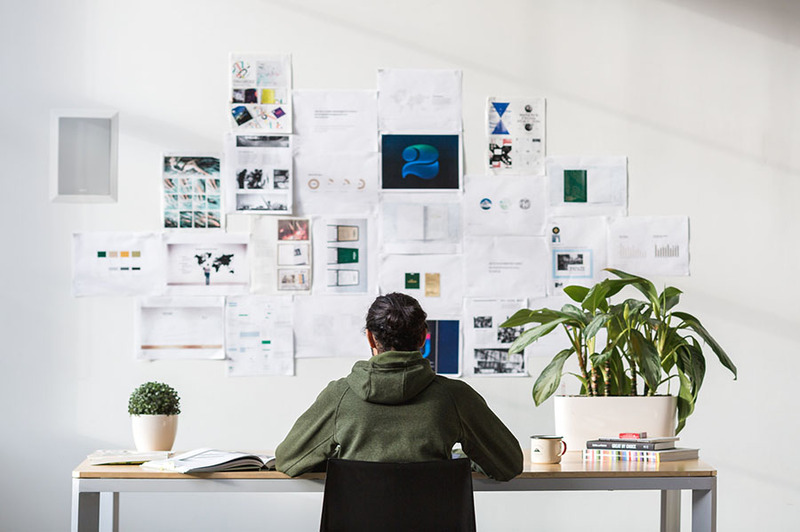 Using the wrong tools can even hinder your lead-generating results, while the right tools can help you effectively automate tasks (yay, less stress for you), streamline your website processes, and ultimately, increase conversions. That’s the goal, right? Here is our virtual toolbox of essential instruments, divided by category. Try them out and see what works best for you — and your budget. Guess what? It’s possible to set up a landing page on your current site using WordPress, and it doesn’t take an advanced programming degree to do. Or, if that’s not what you’re looking for, try our Remixer site builder to craft a customized one-off page quickly and easily. So you haven’t really worried about grammar since college. That’s OK! Writing tools on the web exists for a reason, so use them! To write better copy, try Hemingway, a desktop app that acts as your digital editor, helping to make your writing more clear and powerful (like warning you to avoid that pesky passive voice). Grammarly is another popular proofreading option that you can install to your Chrome browser to help you write error-free wherever you write (even when crafting a Facebook post!). If you’re missing that classroom feel, you can hone your writing skills by signing yourself for a Udemy copywriting course — flexible e-classes you can take on your (busy) schedule. Whether you’re implementing a pop-up opt-in or a simple email registration box, there’s a tool available to make your life — and the design of your landing page — easier. There are tons of tools out there, so do your research and compare options before committing to an opt-in service. Look for a tool that lets you customize design and track performance. And take into consideration that many email marketing service providers often have their own suite of tools. For you WordPress users, we recommend OptinMonster, one of the best (and most popular) options on the market. It offers a variety of campaign choices so you can customize it to your needs. Before you go po-up crazy, though, check out our guide about the dark-side of UX design. You don’t want to scare off visitors with shady tactics. Lucky for you, focusing your landing page on one specific goal often makes analytics simpler. So how do you know if your landing page is effective at increasing conversions? What numbers are the most important to focus on when measuring success? This is a no-brainer, of course. 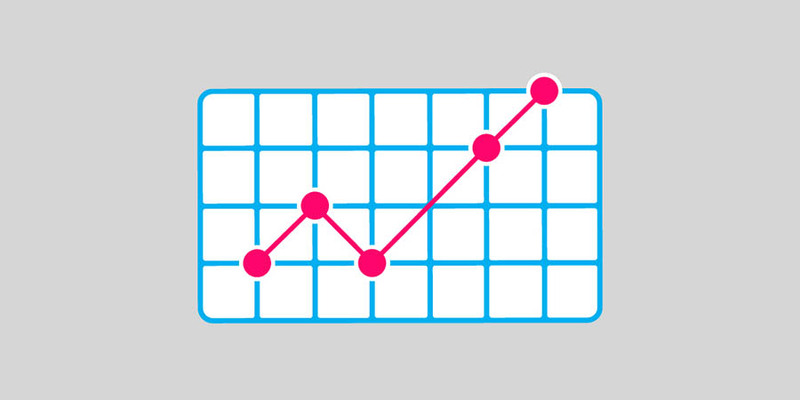 The conversion rate measures how often visitors are answering your ask, whether that be buying something, subscribing to your email list, or following a social platform. As far as metrics go, this is probably the most important. After all, that’s what your landing page is trying to accomplish: more conversions. Note: the average conversion rate is just over 2 percent. The highest converting landing pages often reach 11 percent or higher. What platforms are driving visitors to your site? A Facebook ad? A Google search? Referral from another blog? Determining traffic sources can help you understand where to spend your marketing budget and how to optimize other aspects of your landing page, like increasing responsiveness. As you utilize opt-in forms on your landing page, you’re asking visitors to provide you with information, like their name and email address. The form abandonment rate is the frequency at which users are leaving these opt-ins without completing the necessary fields. If this rate is high, you might be asking for too much information and driving away leads. 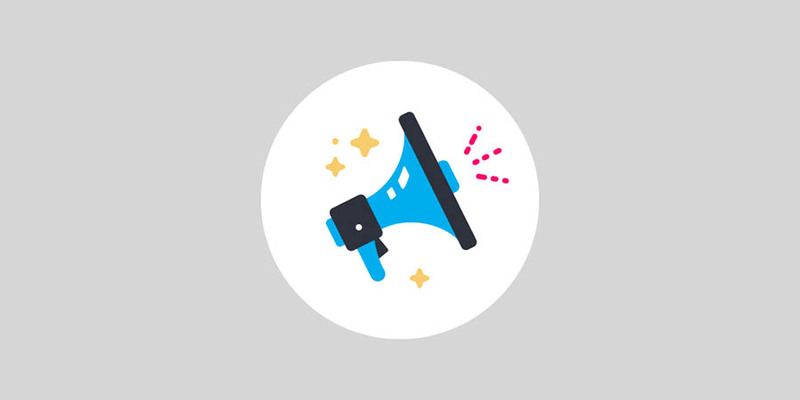 Test opt-in forms to determine the ideal number of fields that visitors are willing to fill out in exchange for your lead magnet or offering. How long are users spending on your site? Understanding this number can help you understand how engaging your content is, and how likely visitors are to convert. Another word on testing: you might be shocked to learn that only half of companies and agencies that use landing pages test them. HALF. To find ways to continually improve your pages and increase conversions, you need to test. Most analytics programs will allow you to test different versions of your site, and this is key. Metrics clue you into what you need to change, and by conducting A/B split tests, you can determine how to implement those changes. A/B testing is the most widely-used improvement method and involves creating two versions of a page to evaluate how one key element changed between the two makes a difference, and which is more effective. It can also help you get to know your audiences better and what their web preferences and behaviors are. Did You Know? The 2008 Obama campaign made an additional $60 million by conducting A/B testing on elements of their website! Keep refining your landing pages so they are as effective as possible. This will take time and some work, but it’s well worth the effort. Just like it takes several drafts to polish prose, it’s likely that you won’t get a blockbuster lead-generating landing page on the first try. These things require tweaking (and more tweaking) to get right. And they’ll need to be tested for each campaign you run. But don’t worry — there are tools for that. For A/B testing and analytics, utilize Google Analytics, Optimizely, VWO, or Kissmetrics. Crazy Egg can help you see what specific parts of your website users are interacting with, which can help you improve design. DIYing your stats? Here’s a math guide to help crunch those numbers. We’ll bite on it: you’re never going to visit another website without first stopping to evaluate the landing page, are you? These often-underutilized pages have the power to turn page visitors into customers and loyal subscribers. Yep, they’re powerful — if done right. Combine a captivating headline, killer copy, engaging visuals, and powerful CTA with smart design, and you’ve got a solid recipe for higher conversions. No luck required. Malware is one of the great boogeymen of the internet. It’s been around longer than the web itself and continues to be a threat to website owners, developers, and internet users to this day. If you don’t understand what malware is and how it can affect your site, you’re leaving yourself vulnerable. However, as malware evolves, so do the tactics for protecting against it. While malware can affect almost every site and device, if you educate yourself on how it works, you’ll have a good foundation for protecting yourself. Even better, there are a number of basic techniques you can use to strengthen your website against attacks. In this guide, we’ll go all the way back to the early days of the internet and discuss malware from its beginnings to the modern day. We’ll also explore some of the most common forms of malware and how they affect your site. Finally, we’ll show you how you can protect your WordPress site from malware. Let’s get started! Malware refers to any software developed with the intention of causing damage or gaining access to someone else’s system. In fact, the word itself is short for malicious software. Malware is sometimes simply referred to simply as viruses, but that is a reductive description. In reality, malware includes a wide variety of programs with multiple purposes and methods. The history of malware stretches almost as far back as the dawn of personal computers. 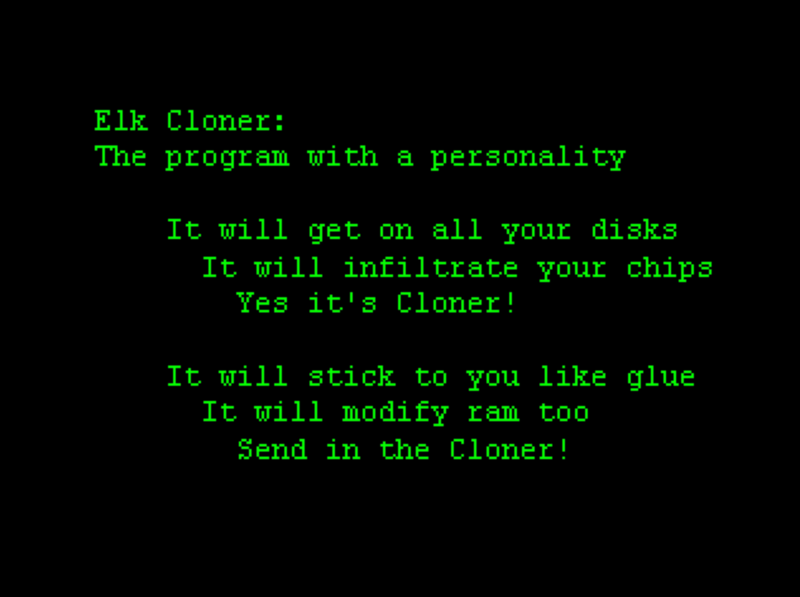 It’s thought that the first piece of malware to reach the public was Elk Cloner, written by 15-year-old student Rich Skrenta as a joke. It was spread on a game disk that would display a poem after a certain amount of time. The program would also copy itself onto the computer’s memory and, after that, be automatically copied onto any disk that was inserted into that machine. While Elk Cloner did little actual harm to the infected devices, it was only the harbinger of things to come. As personal computers became more common from the mid-1980s onwards, malware also became more prevalent. Few programs were as harmless as Skrenta’s creation. One early example is CIH, which would cause massive damage to both software and hardware. It’s estimated that CIH infected over 60 million devices for a total of $1 billion in damages. At the time, malware was primarily delivered via disks so it was mainly spread on shared networks (such as those in universities and libraries). However, with the appearance of the internet, a new era of malware emerged. Today, malware can be spread online much faster than before and infect more sites and devices than ever. The trickiest thing about malware is that it’s often delivered under the radar so you don’t notice anything until it’s too late. It can be sent via email, added to a website so that it infects visitors, or hidden within a seemingly innocent program. There’s even such a thing as fileless malware, which affects your memory but doesn’t leave any trace on your hard-drive (to avoid detection). In short, malware is a lot more sophisticated today than when it relied on floppy disks. It’s also a lot more insidious and dangerous with a more focused purpose. In the past, viruses and other malware were usually created with the intent to brag or annoy others. Now it’s a money-making industry, encompassing networks of developers who are working full-time to create new ways of spreading unwanted, harmful software. The sad fact is that no device or site is ever completely secure. Malware is an industry that’s continuously improving and changing its methods, so you’ll never want to assume you can rest easy. Not even Internet of Things devices are safe. To defend yourself against this threat, you’ll need to learn as much about it as possible. We’ve spoken about malware from a general perspective up until now. However, as we mentioned earlier, there are many different types out there. Let’s look more closely at some of the most prevalent kinds of malware and how they can impact your WordPress site. This is arguably the most famous type of malicious programming — to the point that virus is commonly used as a synonym for all malware. In reality, a computer virus refers to any software that replicates itself and adds its own code into other programs. That’s why we use the term infected to describe the affected system. Since it hides its own programming inside some other software’s code, a virus can be used to perform almost any task. This task is known as its payload and can affect your site in numerous ways. 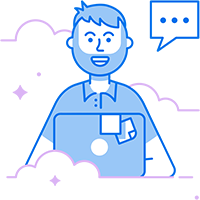 For example, a virus could be used to access sensitive information, delete important data, hog site storage and server resources, or replace your content with spam. To protect yourself, you’ll need antivirus software. It’s likely you already have this installed on your computer and devices, but it’s a must for websites as well. Some web hosts offer built-in protection as part of their plans, which will help to stop most common attacks. You may also want to consider a WordPress security plugin that will scan your files for unwanted content, including viruses. The Trojan horse myth is the story of how the Greek army managed to enter the besieged city of Troy in order to destroy it from the inside. They did so by gifting the Trojans a giant wooden horse that was secretly loaded with Greek soldiers. Surprise! When the horse was brought inside the city gates, the hidden soldiers jumped out and overtook the city. The horse’s modern-day namesake functions in much the same way. A trojan horse is a piece of software that appears to be doing one thing, while hiding its true functionality. For example, this could take the form of a screensaver that secretly corrupts files or drains your device’s memory. On WordPress websites, trojan horses can be plugins that claim to do something helpful while actually running malicious code in the background. This usually happens when you install pirated plugins or themes, which attackers can use to add backdoors and access your site’s data. To avoid this, make sure you’re careful about what you add to your site. It’s vital to always use trusted plugins from reputable, secure sources. This probably goes without saying, but pirating software is a lose-lose situation, both for you and its creators. Just say no. The growing popularity of cryptocurrency like Bitcoin has had many strange side effects. For one, it’s caused the prices of graphics cards to rise. It’s also led to the creation of something called bitcoin mining. If this sounds confusing, that’s because it is. The short version: bitcoin is a type of virtual currency that can be mined (or collected) by using some of your computer’s processing power. This is why so many people buy graphics cards to mine it themselves. However, some people have naturally found a way to force other people’s systems to do the job. By installing mining software on a device or site, hackers can use that system’s resources to mine for bitcoin. It may not even be that noticeable, since many of these schemes infect thousands of devices and only use a fraction of each system’s resources to stay hidden. Protecting your site from this type of malware involves tracking your files to make sure none of them are malicious. You should make sure that you have a Web Application Firewall (WAF) and the ability to scan your site. If your site does get infected, you may need to perform some cleaning. As the name suggests, spyware is a program that hides on your device and collects information. This makes it one of the most dangerous types of malware as it can be used to gather sensitive data. Common uses for spyware include tracking your keyboard to collect passwords. It can also be used to watch your web activity or private conversations. Spyware usually spreads by either using the Trojan horse method of hiding inside other software or by being added to a website. When the latter occurs, the spyware will infect the devices of anybody who visits the site. In 2015, several WordPress sites were compromised in exactly this way. An important way to avoid spyware is by making sure every aspect of your site is always updated. This includes your WordPress install, theme, and plugins. You may need to perform these updates manually, but if you’re using managed hosting, your web host will usually take care of this for you. Most of the malware variations we’ve discussed are purposefully designed to remain hidden. However, some take the opposite approach. Such is the case with adware, which forces the user to interact with an advertisement. Most of the time, this type of malware is harmless beyond being intentionally irritating. The goal is to make money by getting people to click on banners and links. Adware can also appear as pop-ups you can’t close or that will infinitely reopen until you click on them. Once again, the main vulnerability for WordPress users has to do with plugins. This was demonstrated in 2016, when the Simple Share Buttons plugin exposed thousands of users to adware. After an update, the plugin placed a message on the dashboard that you couldn’t remove without clicking on it. For this reason, it’s important to continuously scan your files, especially whenever you add or update a plugin. You could also use a tool like Plugin Security Scanner, which checks your theme and plugins daily. If adware is the beggar of the malware world, ransomware is the bully. This is another type of malware that doesn’t hide in the shadows but proudly makes its existence known. Ransomware will threaten you with some action or disrupt your system unless you pay to have it removed. A common method of extortion is to encrypt your files and make them inaccessible. The attackers will then demand payment if you want to have the files decrypted. However, ransomware can also be used in reverse — to stop attackers from leaking information or damaging your system in some other way. Ransomware is often spread via emails, masquerading as attachments that infect the network once opened. It can also be used to target WordPress sites. 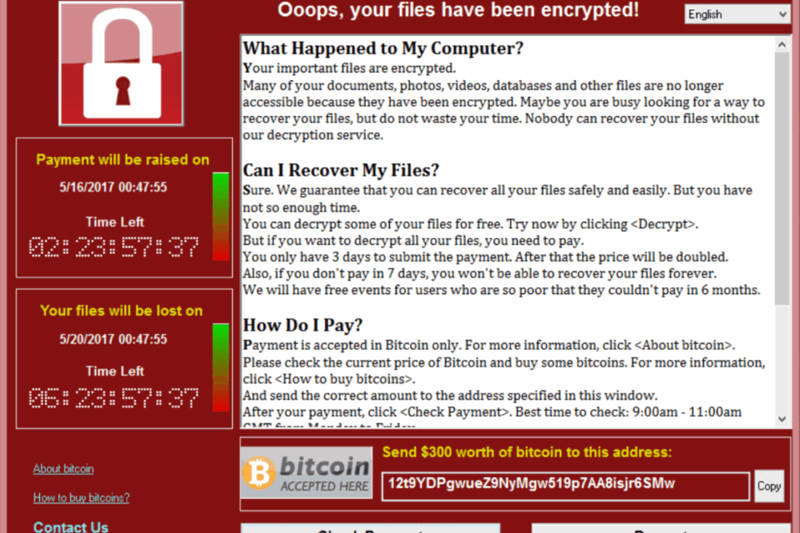 In these cases, the ransomware typically encrypts each site’s files then tries to make the owner pay to get them back again. The best way to thwart these attacks is by keeping regular backups of your site. It’s also important to keep every aspect of your site safe as it could otherwise contain vulnerabilities attackers can take advantage of. In software terms, the word wipe is rarely attached to good news. 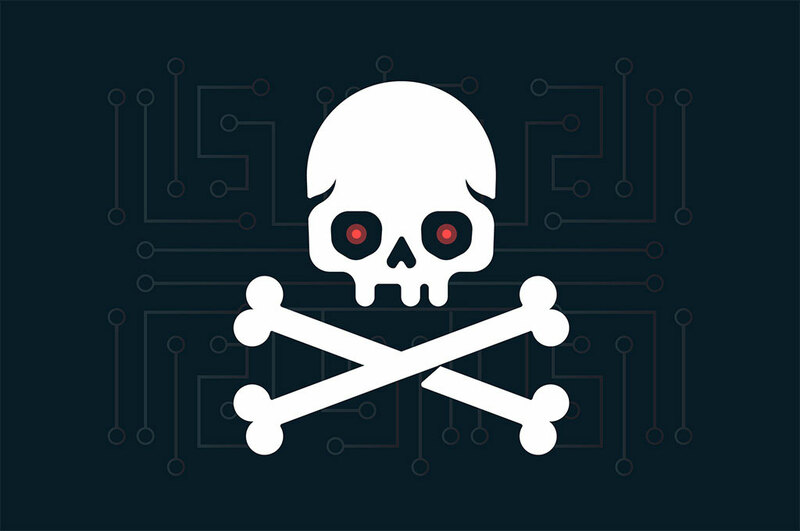 As you might suspect, wiper malware is used to destroy the device or network it infects, making it one of the most overtly destructive types of malware. Wiper malware is primarily used as a type of cyber warfare. The goal is almost always to attack and destroy, rather than to sneakily use another device for illicit means. One of the most famous examples is the Shamoon attack, which was used to steal files from computers before wiping their storage clean. There’s also the Petya software, which purports to be ransomware, even though it doesn’t actually recover the destroyed files once a payment is made. Once again, keeping regular backups is your most important defense. This way, you’ll ensure that your data is recoverable even if your site is hit by a wiper. Avoiding a wiper entirely will require you to use all possible methods of site security. You’ll also want to be prepared to clean up your site if the worst-case scenario comes to pass. Computer worms are similar to viruses, with the exception that worms spread autonomously. A virus requires something else to help it move between systems, but worms can work on their own. For example, a virus could be triggered when you start an application or insert a disk into your hard drive. Meanwhile, a worm can automatically spread itself, such as through email. In that case, the worm will look at your address book and send itself to all the contacts within. It can then repeat this process more or less forever. In fact, some of the most long-lasting examples of malware are worms, such as the slammer worm, which has been around for more than 15 years. Protecting your site against worms is also very similar to securing it against viruses. 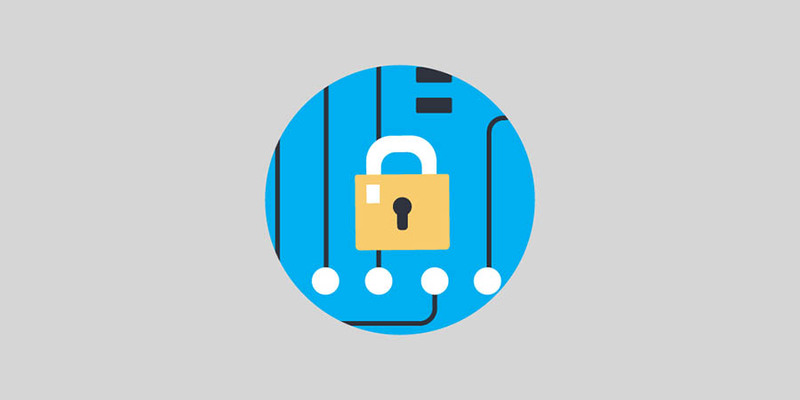 Consider using a hosting plan that protects against automated attacks. A botnet isn’t malware in the strictest terms, but it often affects the same sites and exploits similar vulnerabilities. In short, a botnet refers to a network of infected devices that can be controlled from a single point. This network can be used to run tasks or to perform Denial-of-Service (DoS) attacks. The botnet works by attempting to insert its code into targeted websites. When a site is successfully infected, it can be used to perform tasks by an external command center. It basically becomes a remote-controlled robot — one that can be used for malicious purposes. Many security plugins will protect against injection attacks. This can help prevent your site from becoming part of a botnet. You should also have a means of tracking the activity on your site. This can help you see when injection attacks occur and take measures to fight them before it’s too late. We’ve already covered numerous ways of protecting your WordPress site against malware. However, keeping your site secure requires a lot of planning, work, and know-how. Fortunately, you don’t have to go it alone. Here at DreamHost, we offer tools that can help you safeguard your site. For example, our Malware Remover keeps your site safe from malware by scanning it and removing threats before they can destroy your files. Automated protection. Malware issues will be dealt with and cleaned up automatically. Weekly website scans. Every file on your site is scanned each week to find any vulnerabilities or possible exploits. Software update notices. We track all updates and inform you when you need to upgrade your software. Whitelisting functionality. You can tailor the system to permit specific processes that the remover perceives as false-positive threats. 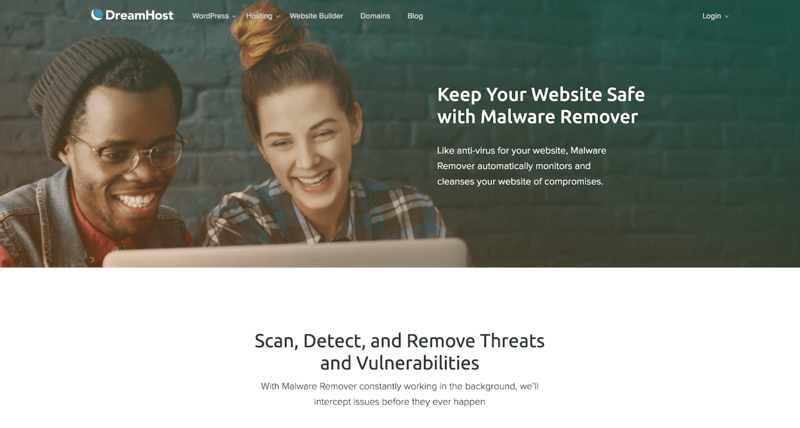 You can add the Malware Remover to your DreamHost account for just a few extra dollars per month. 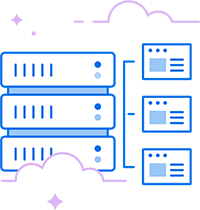 It’s a perfect complement to the standard security features offered by our hosting plans. Your site will thank you! Malware is an ever-present threat to any website owner; it has been since the dawn of the internet. Plus, it’s something you need to stay vigilant about as new types of malware crop up regularly. Fortunately, keeping your site safe is easier than you might expect. Do you have any questions about protecting your WordPress site against malware or how DreamHost can help? Find us on social and let’s start the conversation!